The 1960’s were more than unique; they were without parallel. From rock and roll to the space program, drugs to free love, the Vietnam War to civil rights, equality for women to the assassinations of beloved leaders, they forever changed an entire generation. The Crusaders is a collection of stories... that ignores most of that. Instead, it’s about a group of friends who grew up in a bedroom community near Los Angeles, California, during those tumultuous and seminal times. 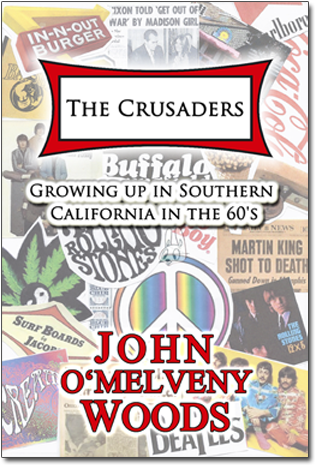 From the innocence of pubescent naiveté to the experimenting of curious minds, these tales take the reader through the 60’s from The Crusaders’ youthful point of view with warmth, humor and good-natured fun. 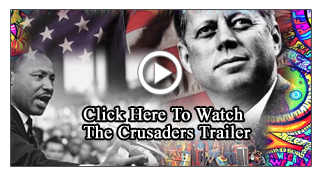 The Crusaders both celebrates the 60’s and exposes the unintended consequences that resulted as they slipped deeper into the uncharted waters of the times. And how they paid dearly for their actions. At its heart, The Crusaders is about the friendship, loyalty and love for each other that anchored and enabled them to get through those chaotic times to the other side of healing.